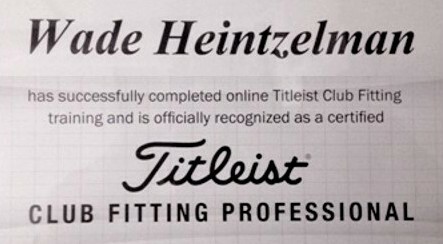 Wade Heintzelman and his partner Jack Goldsby have performed fittings and designed custom clubs for 1000's of golfers, from all walks of life and of all skill levels. Below are some recent accolades that customers have personally sent in. You'll have to scoll pretty deep to get to the end of this testimonial list. I played on the LPGA Tour from 1988 to 2011 and now play on the Legends Tour. I have been fortunate to have Wade Heintzelman and the The Golf Care Center making my clubs since 1994. The knowledge and attention to detail at the Golf Care Center is unsurpassed. Most people don't realize what a difference playing with the right clubs can make. 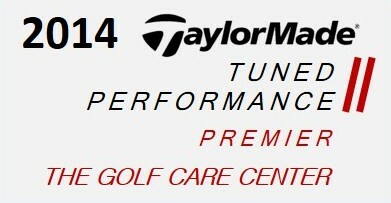 I would recommend The Golf Care Center to anyone who wants to get the most out of their golf game. Now that I have been able to try my new irons and 3-wood through six weeks of typical ups and downs, I can tell you unequivocally that they are a great fit. Without a doubt the very best irons I ever owned (which is saying a lot since I loved the TaylorMades you fitted me for several years ago). Plus, I am getting lots of extra distance with the new 3-wood. Best regards and thanks. Wade, you are an excellent teacher / coach / fitter and I really gained a lot of info in the short amount of time that we spent together (just like last year). I’ll work on the things we discussed and hopefully get down to about a 3 or 4 this year. I had a lesson with Don Frost at Clustered Spires last night. He had me focusing on lighter right hand grip pressure which yielded great results. Great ball flight with really good ball speed. I mentioned that I saw you last year for irons and this year for woods fitting. Don looked over my set up and commented on what a great fit my clubs were for my swing. He was very complimentary of you. So just a quick thanks. It's great to play knowing that my equipment is perfect for my game. Thanks much and best wishes. Played with new clubs for first time yesterday. Totally different ball flight with all clubs. Mirrored the ball flight in your indoor facility. Driver and hybrid much better lower flight. Hit irons much better. We played captains choice so I never hit more than a six iron. Very comfortable with entire set. Thanks! Carlos says hello. Looking forward to playing again soon. This is Diane Watson--I just want to thank you, Wade & Jack--I shot the lowest score ever with my new clubs !! I am a lifelong, avid golfer and have been coming to Wade Heintzelman for fittings and custom clubs for 15-20 years now, as has my son. I wish to heartily endorse Golf Care Center. Wade is very personable and enthusiastic, seems to have genius intuition, and is always up on the latest club technology—no wonder he’s considered one of the nation’s best clubfitters. My most recent visit and club upgrade was just this summer, and I am delighted with my new sticks and my results. A quick update on my progress after my fitting on May 22--one word: unbelievable. It took a little getting used to the smaller grips and figuring out how to hold my posture through the swing, but now that I've had a chance to practice, I'm playing the best golf of my life. My weak fade/slice has turned into a nice powerful draw, I'm striking it much more cleanly and consistently, and have picked up a ton of distance and accuracy. Best part is, I've shot a pair of 83's and a pair of 82's in the past month (my best ever from the blue's at Whiskey Creek and PB Dye), and my index has dropped by almost two points and I'm having so much more fun out there--my golf buddies think I'm on steroids. If I can spend more time on my short game, I might be dangerous! In any case, thought I owed you an update since I've improved so noticeably since I came in. Cannot thank you guys enough. See you in the shop soon. First off thank you for taking care of Michelle and I. Secondly, Michelle just beat me at BCC without even getting to practice with the new clubs! First time she hit them. So thank you for the a$$ kicking :) Granted, I give her a stroke a hole but I have to score par or birdie now just to halve the whole. Joking aside, incredible what you did for both of us. Her game changed from the 110s to 120s to high 80s low 90s basically overnight. I am almost in the 70s. Anytime you guys have a hair to play BCC and have some drinks/dinner just let us know. And shall you ever want to make it out West to get out of the summer heat, I can get you some courses out there as well. Thank you again guys! See you soon! This is for Wade and Jack: Yesterday at Kinloch I had a career round: hole-in-one, eagle and two birdies for a 68, 4 shots below my age. I missed two fairways and three greens, saved two pars with good chips and one-putts. I played even better than I scored. 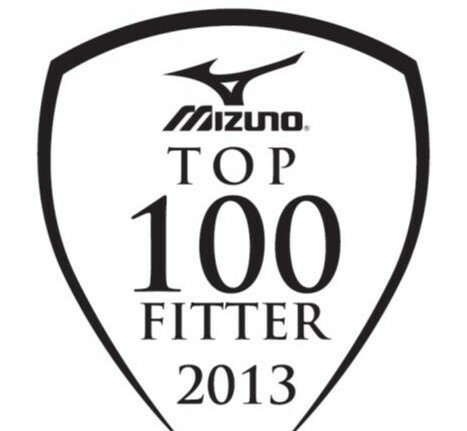 I had confidence that my Mizuno iron 825 shots were going where I wanted them to. Thanks again. I wanted to drop you a note to say thanks for the clubs. I broke 80 for the first time in nearly 40 years and I shot a couple of 82s as well. I'm sure the fact that I'm playing a lot more has something to do with it but the clubs are also a major factor. I'm longer off the tee and the irons are more consistent. The wedges provide me with a lot more control around the greens. I still have work to do on the quality of my ball-striking and putting but I have the tools to get the job done. I just need to put the time in. Thanks very much. It is fun to play golf again. I picked the set up today and played on my way home. I had the best 18 hole score in my life and even scored a birdie on a Par 5 dogleg. In addition to that, my back is less stiff after a round, which I attribute to not having to crouch/bend over quite as much with the extended length, though perhaps the smoother swing is responsible, or some other factor that I do not know. In any case, they have made an instant difference. Have played 3 rounds since getting the new driver from you guys (Callaway Big Bertha Alpha 815)... just wanted to give you a quick update. I am easily 30 to 40 yards longer than I was. I know some of that is the swing tips that Wade gave me, and some are the club. But I went from the shortest guy in my group to the longest. Sligo was a drive and chip/drive and putt for me today. Golf courses look different to me now that I am in a different landing area. Courses I used to hate to play I actually enjoy. It is great. Also, I used to go rounds without sniffing a birdie, and now I get a few every round. Wade: Just a quick note to say that I'm really enjoying my new clubs. Scoring is better (i.e., lower) and I feel I'm improving when it comes to striking the ball. Of course this is all a work in progress, but my mates have been suitably impressed with the results of my fitting. I suspect you may get some new clients as a result. 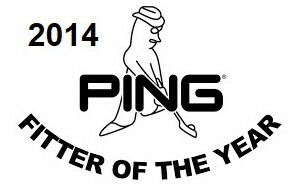 All the best...and I hope to schedule a putter fitting with you before the summer is done. I have been playing with my new irons for a few weeks. One word: Amazing! Granted, I have been working on my game as well but the clubs really work for me. Without swinging any harder I'm easily 15 yards longer per club and straight as an arrow. Its really, really exciting. Thanks...you are the club wizard! Gonna play all summer and come see you for a woods fitting later summer early/fall. Talk to you soon. 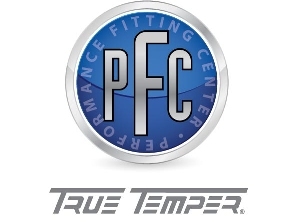 I just wanted to thank you for a great fitting and fun experience. I've told quite a few folks about the fitting and several of my buddies have seen my golf scores improve. I'm really enjoying playing golf even more than before. At times I'll now go solo just to get out and play more. I'm hoping to be back in the spring for a putter fitting. I wanted to send you a quick update about my dad (Frank Hooper) who you fit early in the spring. He has absolutely fallen in love with his new set of irons. At the course he plays at, there is a game every Sat. where everyone puts $10 in with various ways of winning. Last year, he only won $140 all year. This year, he's won $250 and May isn't even over! Also, his HC has started trending in the right direction. He was at a 13 about 3 years ago, but has steadily worked up to a 16 before the start of the year. He's back down to a 14 this year and keeps posting good scores. The irons have made a huge difference in his game as he is hitting and holding more greens. Thanks very much for squeezing me in yesterday, and for making me feel so welcome at GCC. The fitting session was very informative, and I appreciate the extra attention to my swing faults and the attention to detail in the “prescription” and club ordering. I am excited to swing the new SLDR driver! Looking forward to improved results too. Thanks again, Rusty. I just wanted to drop you a quick line to let you know how it was going and how much I love my new clubs. I'm hitting them all very well and shot two rounds in the upper 90's this past weekend and can see my game getting better every time I go out. My 140 club is a 9 iron, all my yardages are up and its definitely due to the clubs and the three tips you gave me. I think I've probably spent close to $1000 in lessons over the last few years but I learned more from the fitting and tips you gave me then I did from any of those lessons. Thanks again. Wade: Wanted to thank you for the progress I've made since I picked up my clubs from you last fall. You can see that the index is coming down slowly. Played a bunch with Chris Bradish and George Nanos this weekend at Bay Creek and we discussed your clubs quite a bit. Finally able to start hanging with them, or at least not embarrassing myself! Hope you and jack are doing well. Thanks! Just bought a Ping G25 and Answer hybrid from you. Shot a 77 my very first round with the new equipment. Xtra stiff shaft is perfect for me. Was bombing it straight. Thanks so much for the great service. I am very happy and will send everyone I know your way -- except for the high maintenance turkeys!! !